Sports Social with Ed Easton Jr featured a interview with Boxer Julian “Hammer Hands” Rodriguez and Carlo Filippone founder of Elite Lifestyle Cuisine. 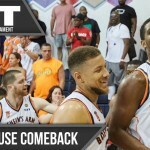 The Basketball Tournament took over Brooklyn, NY for over four days in July providing plenty of action and surprises for the many in attendance. 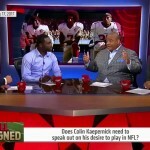 Michael Vick makes very controversial comments regarding Colin Kaepernick's image as he continues to be overlooked by NFL teams. 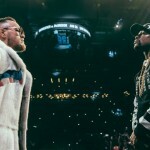 Floyd Mayweather and Conor McGregor embark on a four-city international press tour to announce their Saturday, August 26 blockbuster on SHOWTIME PPV.